Recently, the former judge of County Court Four, Judge Ray Wheless was appointed to the 366th District Court. This leaves an open court. I have heard of many names that may be running for the open seat. As with before, I am only profiling those candidates who have either directly told me they are running, or have a campaign website up. If you are running for this bench and would like to be added here, please let me know and I will add you. Linda Wynn Drain is a currently in private practice as founding partner of Nolte, Drain & Rosenthal, PLLC in McKinney. 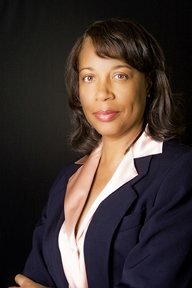 Her experience includes experience includes criminal, civil, family, juvenile, personal injury, and wills & probate law. Mrs. Drain served as an Assistant Criminal District Attorney and Felony Prosecutor for Collin County’s District Attorney’s Office. She is also a founding Member of Collin County Bench Bar Foundation. More about Mrs. Drain’s experience and plans for the bench can be found on her campaign website at www.lindawynndrainforjudge.com. Dale Rose was a criminal prosecutor in Dallas County and has represented both plaintiffs and defendants in civil cases. His first career was as a police officer for the City of Garland where he was the youngest candidate ever accepted. He worked in that capacity for 6 years, before beginning his second career as an attorney. Mr. Rose is a former President, Vice President and Secretary of Collin County Bar Association. More information about Mr. Rose’s experience and plans for the bench can be found on his campaign website at www.roseforjudge.org. 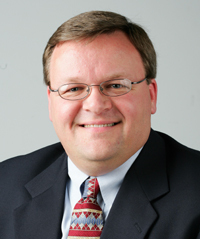 David Rippel is a Plano attorney currently in private practice. David has tried numerous cases in district and county courts. His practice emphasis trial work and has defended people and businesses in multimillion dollar lawsuits and criminal cases from misdemeanors to felonies. David is admitted to practice law before the United States Supreme Court, the Federal Fifth Circuit Court of Appeals, the federal district courts, The Texas Supreme Court and all state courts, and the Louisiana Supreme Court and all state courts. Mr. Rippel served in the U.S. Army in support of Iraqi Freedom and Operation Noble Eagle. Mr. Rippel lives in Plano with his wife and two children. More about Mr. Rippel and his campaign can be found on his campaign website, www.rippelforjudge.com. Matthew Goeller is an attorney in Plano in private practice with the firm of Goeller & Grubbs. Mr. Goeller has over 20 years experience as State Prosecutor in the Collin County District Attorney’s Office and as Partner in Grubbs and Goeller Law Firm in Plano. He also works as a faculty member for more than 20 years at Collin College in the Criminal Justice program. More about Mr. Goeller and his campaign can be found on his campaign website www.mattforjudge.com. 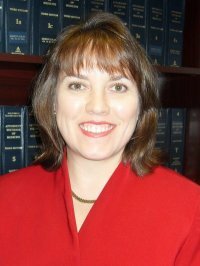 Chrysti Bryant is a graduate of the Texas Wesleyan University School of Law. Chrysti served as a member of the Law Review. While in law school, she worked as an intern with the Tarrant County District Attorney’s Office, Appellate Section.